Having a trouble-free saltwater swimming pool is not a rocket science; it’s all about monitoring (testing) chemicals used in the pool regularly (at least weekly) and maintenance of chlorine. From my own experience (I've had a saltwater pool for more than five years now), the major problems (and what we'll discuss in this article) are low chlorine levels that cause cloudiness, low salinity, salt chlorinator maintenance, and corrosion issues. Freedom with any type of swimming pool begins with chemically-balanced water. To accurately test and adjust important chemicals such as pH, free chlorine, combined chlorine, total chlorine, total alkalinity, cyanuric acid, and bromine, I use LaMotte ColorQ Pro 11 digital pool water test kit that takes a very accurate measurement for all the chemicals at once. 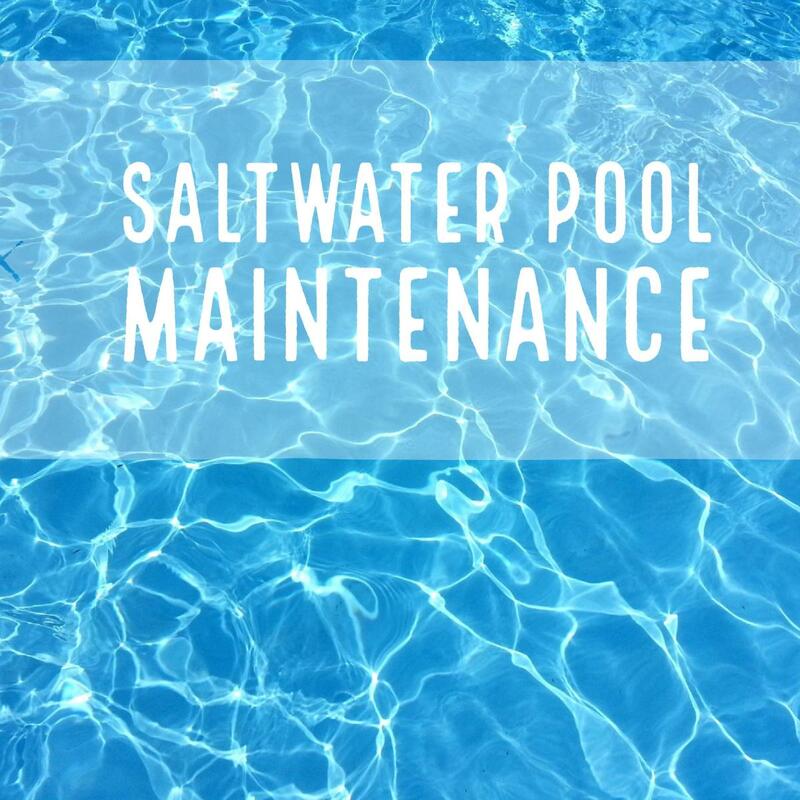 A saltwater pool system will operate efficiently only when salt is in the right concentration. Different chlorine generators will need different salinity levels, and this is the first thing you need to take in consideration before adding or reducing salt in your pool. Chlorine generators will operate fine with salinity levels between 2500 and 3500 ppm. You must either test the salinity level before adjusting it or use a chlorine generator that monitors and displays the salinity reading. Cooler geographic regions will experience reduced water conductivity, and if you are taking the reading of salinity from the generator, you may get a much lower and inaccurate reading, so you need to be extra careful not to add too much salt. Make sure that you don’t add too much salt into the pool since the only way to reduce salinity is by draining the water and refilling with fresh water. Test for salinity every week. Keep in mind that salt levels will be recycled during the process of chlorine production, and you may not need to add more unless the level falls way below the recommended range. Here is salinity calculator that will guide you on the correct amount of salt to add to your pool to avoid excess salinity. An ideal pH level is necessary to enable chlorine to function effectively and kill harmful bacteria. Ideally, the recommended levels for pH should be between 7.2 and 7.6, with the most ideal or optimal level of 7.4. To reduce pH levels, you can use muriatic acid (liquid hydrochloric acid) or a dry acid such as sodium bisulphate. To increase pH, you can use alkali such as soda ash: Ensure that you add these substances slowly in increments and allow the water to circulate for 4-6 hours before swimming. Monitor free chlorine levels by testing and adjusting on a regular basis. The recommended free chlorine levels should be between 2-5 ppm all the time, depending on the level of cyanuric acid in the pool as indicated in this chlorine/CYA chart. Low salinity levels reduce free chlorine. If your free chlorine falls below the recommended levels, you need to measure salinity and increase it if it is below the recommended levels before even thinking of adding chlorine shock in the pool. Very low salinity levels may bring down your available free chlorine to 0 ppm, which will almost certainly encourage algae to thrive. 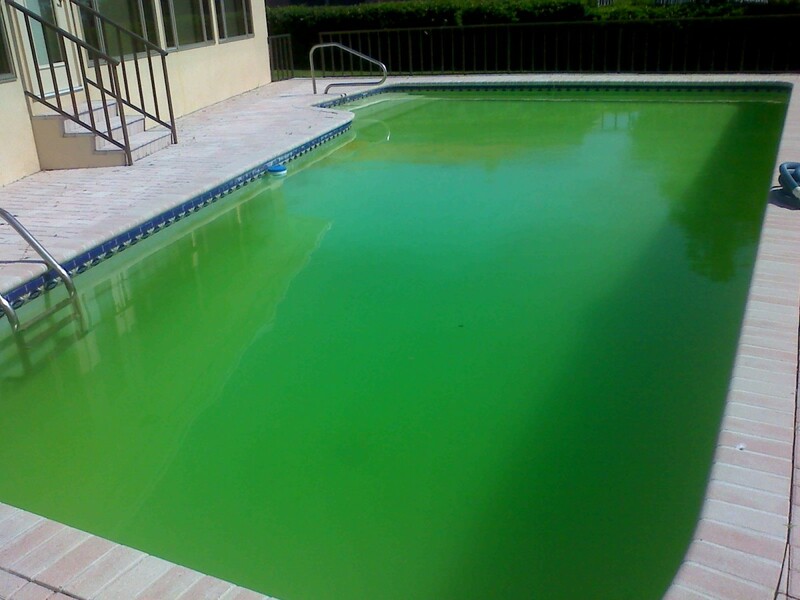 If the salinity and everything mentioned above is just fine, but free chlorine is too low, this may be the result of heavy pool usage and you may need to add small amount of regular chlorine (or adjust your chlorine generator to produce more chlorine). Total alkalinity (TA) is as important as any other chemical reading. TA should be kept between 80 and 120 ppm to help keep pH stable, especially during the rainy season. On the other hand, high TA will cause cloudy or murky pool water and pH fluctuation. To raise the total alkalinity, you can use sodium bicarbonate and hydrochloric acid. However, you should be careful when adding these reagents as they also have the same effect on pH. Use muriatic acid to lower it. In most cases, balancing pH and TA is tricky and the only way to balance the two is by first reducing both chemicals using muriatic acid and then raising pH through aeration to get the correct balance. If possible, always avoid stabilizers unless you have an outdoor pool in a hot and humid climate. Stabilizer (mainly cyanuric acid) is mainly used to help keep free chlorine stable by protecting it from exhaustion by sunlight and high water temperatures. The recommended levels of a stabilizer is between 40 and 80 ppm for saltwater pools. The correct value of cyanuric may also differ with geographic locations, depending on temperature and how much sunlight is available during the day. This explains why a saltwater pool in Canada will need between 40 and 60 ppm and one in the USA may need up to 80 ppm of Cyanuric acid during the summer. 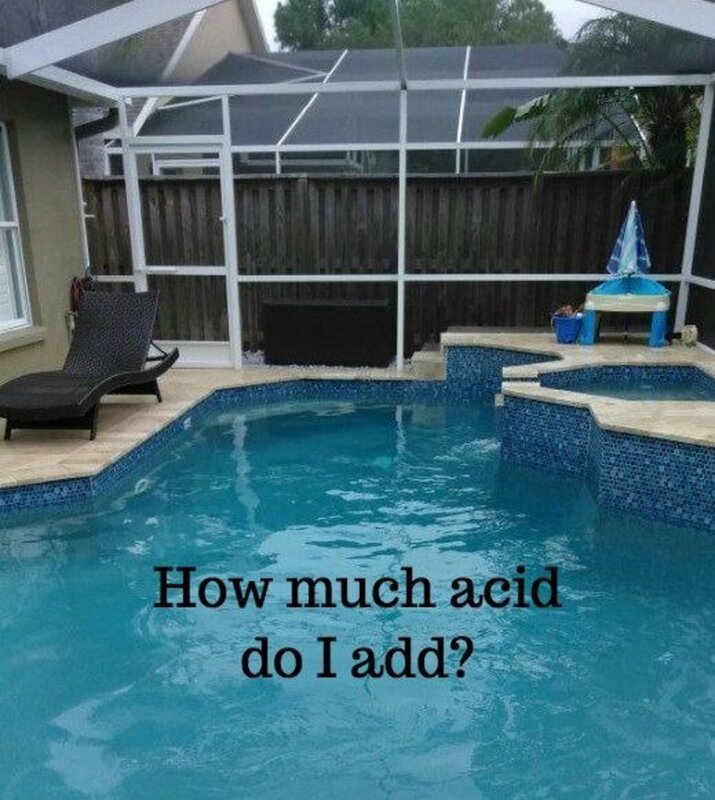 Also, the amount of cyanuric acid you need will depend on the amount of free available chlorine. Very high levels of cyanuric acid will reduce the levels of free chlorine; you can use this CYA/Chlorine chart to determine the correct level to add at given level of free chlorine. This is the most ignored aspect pool water chemistry: The TDS in your pool should not exceed 1500 ppm. The levels of TDS increases as chemicals are added and as organic matter dissolves in the water. If it drifts to the higher side, TDS significantly affects free chlorine levels and other chemicals and may cause cloudiness in the water. The only way to reduce excess TDS is to drain and replace the water. 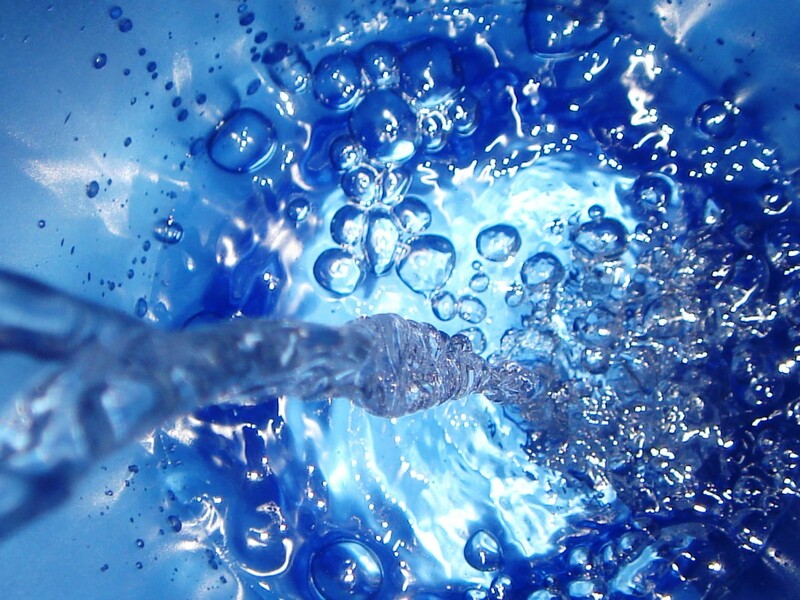 Alternatively, you can increase the frequency of backwashing and cleaning your pool filter. 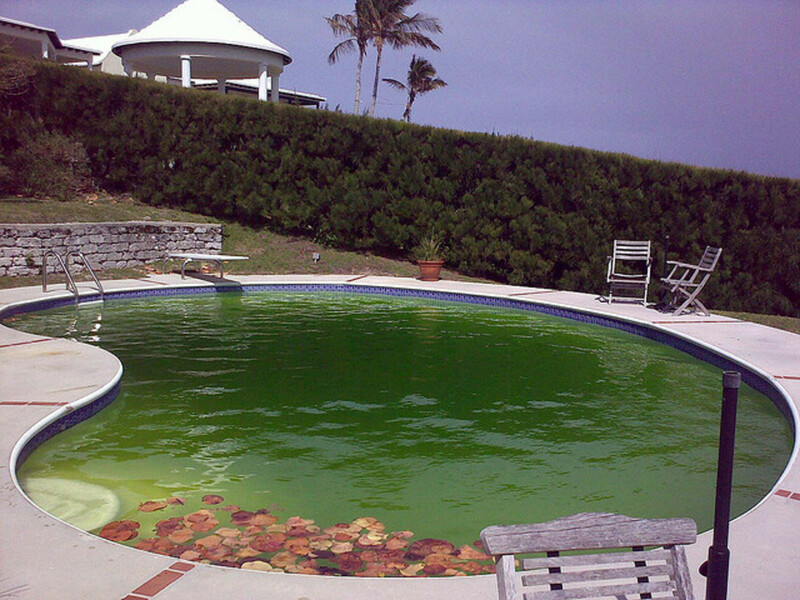 Just like a chlorine-based pool, saltwater pools turn cloudy when chemicals are not balanced. You need to ensure that all chemicals are balanced all the time to avoid cloudy water and the growth of algae. The major causes of cloudiness are chlorine, pH, total alkalinity, cyanuric acid, and calcium hardness. To get rid of cloudiness, you will have to do a chlorine shock to raise the level of free chlorine (since the chlorine produced by the generator is not enough; a chlorine generator just assists you in maintaining the level of free chlorine). When the levels of chlorine and cyanuric acid are balanced and the water is clear, the chlorine generator will pick up from there and start producing chlorine to maintain the free chlorine levels. SWCG maintenance is all about cell cleaning and replacement, period: Chlorine production happens in the salt cell, and a defective cell will lead to less or no production of chlorine. You need to closely monitor the cell to ensure that there is no calcium buildup, which causes a low production of chlorine. Ideally, even if there is no buildup, it is recommended to clean your cell at least every 6 to 12 months. I use Hayward's AQR15 AquaRite Salt Chlorinator, which has a self-cleaning feature that makes it easy to clean any time. If you need more information, Hayward Chlorinators have a very inclusive guide on how to clean salt chlorinator turbo cell. Use a screwdriver to remove the cell from the casing. Add sufficient muriatic acid to a bucket of water: Avoid too much acid, as it may reduce your cell life (about 6 oz of muriatic acid per quarter bucket of water is fine). Pour the solution into the cell and leave to soak for 5 to 10 minutes. Dispose of the acid solution and rinse the cell with a garden hose. Note: An expired salt cell might be the problem. The average lifespan of a salt cell is 3-5 years in most SWCGs, after which you need to replace the old cell with a new one that will produce sufficient chlorine. Basically, all chlorine generators are have a percentage setting that controls how much chlorine they produce and how much time the pump runs to produce enough chlorine. In some cases, you will be forced to increase the pump run time to allow for the production of sufficient chlorine when free chlorine is too low. However, since the setting is a percentage of the pump runtime, you will have to readjust the percentage every time you change the pump runtime to get free chlorine from a low level to recommended levels. Saltwater often leads to faded surface and metal stains or corroded steel hardware parts. Zinc anode works by corroding or 'sacrificing' itself before any other metal part can be affected, like an underwater electrical system that can develop stains. You need to check on the anode at least once a year to ensure that it has not fully degraded. The salinity level of my saltwater pool goes from 3200ppm to as low as 2200ppm by the end of the day. It's a 38k gallon pool in a multifamily complex. The pool seems to be "eating" the salt. Any ideas? Your salt cell might be dirty and may need cleaning to work efficiently. Try cleaning the salt cell and observe any change in the salinity reading. Also, make sure your chemicals in the pool are all balanced, especially pH, TA, and calcium hardness as these may affect salinity and free chlorine production levels. The salt level on my display says my pool is at 3900 ppm, and the stick is reading low free chlorine and total chlorine, as well as pH. What is going on? Your salinity is a little higher than the recommended level which is between 2500 - 3500 ppm. Unfortunately, the only way to reduce salinity in a pool is by draining water partially, then refilling with fresh water. Chlorine might be reading low even though salinity is high because of a faulty or dirty salt cell that needs some repair or cleaning respectively. 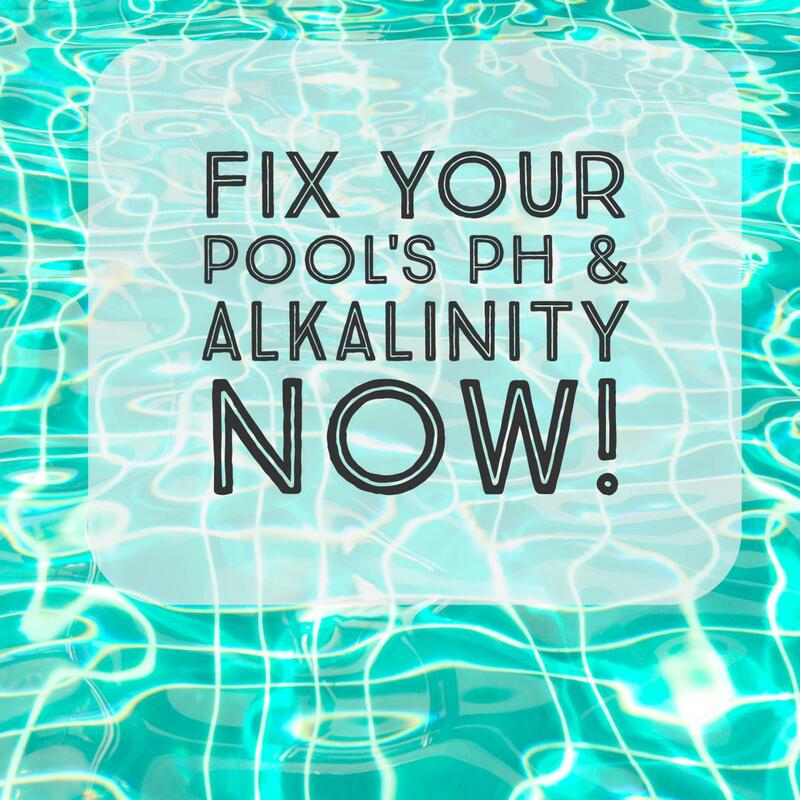 So, fix salinity first by draining and refilling pool water, then fix the pH by adding pH plus, then finally do some cleaning on your salt cell if you've not done so in a while and your chlorine production should just come back to recommended level. If free chlorine is still reading low after doing all the above, you might need to add a small amount of liquid chlorine to boost the levels. My salt cell is producing a very low chlorine free level. It is one year old. What should I do? Check and ensure that the level of salinity in your pool is between 2500 - 3500 ppm for chlorine to be sufficient in your water. Also, try cleaning the salt cell, it might be dirty and therefore cannot produce enough chlorine. My Saltwater Chlorine Generator indicated low salt. I tested the water for salt content, and sure enough, it was low. Chlorine was still being produced on the other indicator, and the tested free chlorine number was good. I added salt and brought the salt number within the specs. The "low Salt light ' is still blinking. Do you have any thoughts? You may need to clean your salt cell if you have not done so in a while. Soon, it may develop low chlorine problem is salt cell is not working efficiently. Our pool became cloudy. We checked the system and found the water wasn’t circulating. We backwashed and it seemed to fix the problem. Will Super Chlorinating be enough to take care of the cloudiness? Super Chlorinating is necessary only when free or total chlorine is less than 3 ppm. Before adding chlorine ensure that it is less than 3ppm. The problem seems to be with the circulation system. Just make sure all the chemicals are balanced then leave the pool pump to run for at least 24 hours and all will be fine. My grandchild pooped bubbles in our pool. Will this tear up our saltwater system? No, just make sure all chemicals are balanced for salinity and leave the pump running. All will be fine. The filtration system is not circulating water in our pool. It stopped randomly and red light on aqua rite illuminated on "no flow" last night performed our first backwash and rinse cycle and was well. What could be wrong? Backwashing should fix the problem, if it does not work there could be a problem with your filter and it may need replacement. My husband uses bath soap in the pool after working in the yard. Will this cause cloudiness? Yes, that will cause cloudiness in the pool water. Also, this may result in more dissolved substances in the water and that may be very costly to correct. I am using the Color Q Pro 11 tester in my pool. My FCL reading is 4.74 and TCL reading is 5.8. Are these levels too high? The CC is 1.14. What should I do? I am a new pool owner. Your chlorine is too high. Free chlorine should be 3ppm, which should also be the value of total chlorine and that means your combined chlorine is always 0ppm for a well maintained swimming pool. How do I increase the stabilizer level in a salt water pool? Add Cyanuric acid in the water to increase stabiliser level to around 80ppm. What should be done for a low calcium level of my pool? Add calcium chloride carefully not to exceed the recommended level. The only way to correct high calcium hardness is to drain part of your pool water and then adding fresh water. Hello Kings, I recommend using a better test kit like Taylor Technologies test kit or Lamotte ColorQ Pro test kit for more accurate readings and best results. Also, foam may be forming because of low calcium levels. Make sure your calcium hardness is between 200 and 400ppm and run your pump and foam should clear up. 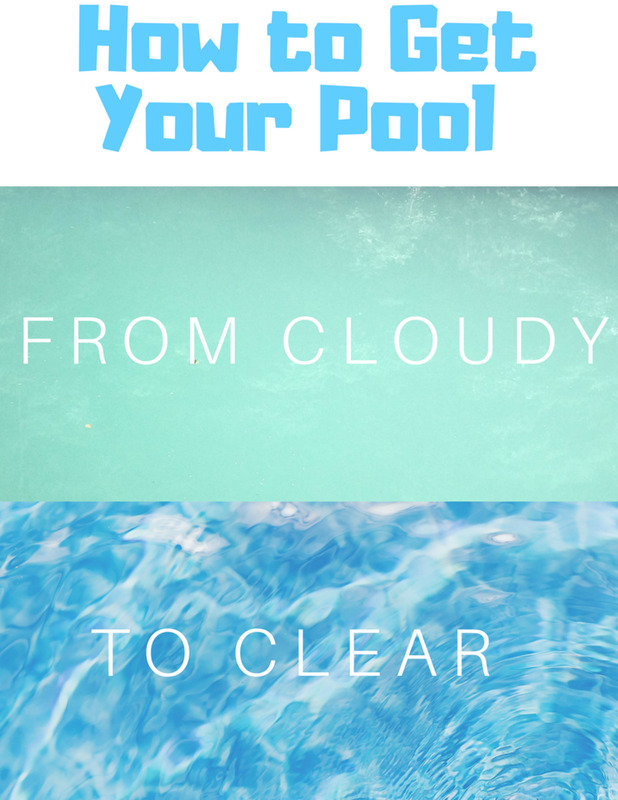 Cloudiness in any pool be it salt water or chlorine based pool is associated with low chlorine level. But also, stability of chlorine level will depend on readings of other chemicals especially the pH, Cyanuric acid, TA, and calcium hardness. So, the very first thing you need to do is to ensure that all your chemicals are balanced before considering free chlorine. After balancing all Chemicals, you can add regular chlorine shock (1 pound per 10,000 gallons) then make sure free chlorine is reading between 3-5ppm and your pool should clear up soon. SWCG is there to maintain free chlorine levels and when free chloride is too low it won't help at all. Finally, if you have done all Chemicals balancing and the pool still appears cloudy after 24 hours, your salt water cell may be faulty and not producing sufficient free chlorine to maintain your pool and you may need to clean your salt cell and make sure you adjust salinity level that is recommended for your SWCG so that enough chlorine is produced to keep cloudiness away and avoid algae growth. We opened our pool last week. It was clear when we removes the cover to raise water levels, however after our pool guy came over to officially "open" the pool and add the proper chemicals (along with salt for the 1st time since we got the pool only 6 months ago), its now super cloudy. We have tested the levels and added the recommended shock (clorine and none chlorine) but it still cloudy after 4 days. Please help!!! Could it be the pump or filtration causing the issue? It's driving us crazy! Hollo Larry, vomiting in kids after swimming is majorly caused by swallowing pool water that may cause recreational water illness and chlorine poisoning and all these may lead to digestive distress, such as abdominal cramping, vominting, and diarrhea. Vomiting is normal for toddlers in many cases during swimming because they drink a lot of pool water. The only solution is to prevent them from drinking pool water. However, if they vomit lots of food, that may be food poisoning and you need to seek medical help. I'm looking for expert help. My children take swimming lessons at an indoor saltwater pool. Recently, my daughter has gotten ill (vomiting) a few hours after coming home from the pool - her most recent two visits. Another parent told me that her child was similarly ill, recently. Just like non saltwater pool, water will turn cloudy when free chlorine level is low. Since chlorine produced by the SWCG is low, it's always meant to maintain the level at the recommended levels. As such, you need to add chlorine shock manually to raise the level. 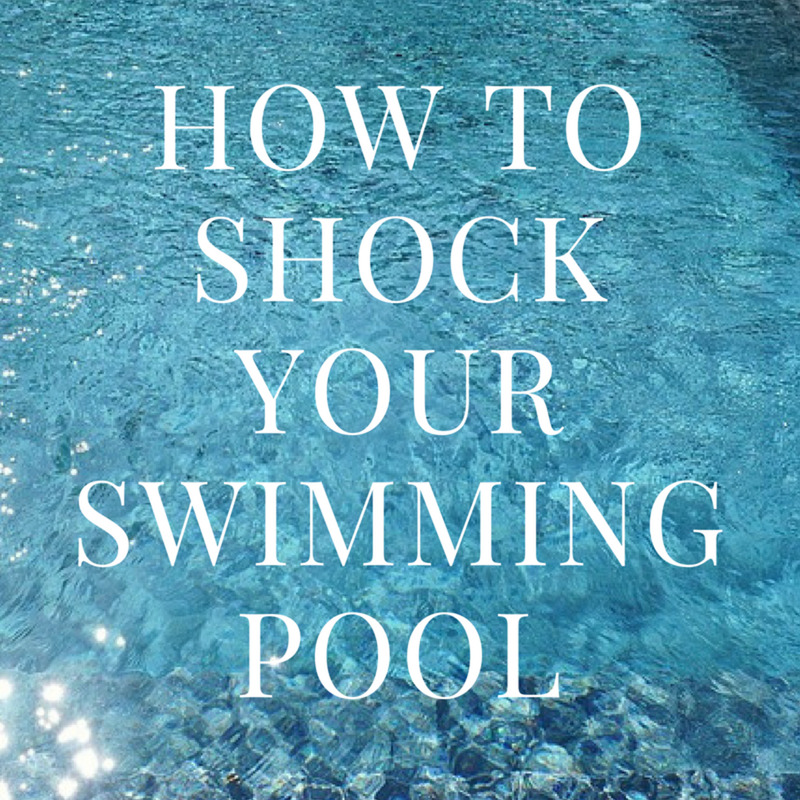 Firstly, test for the pH, Alkalinity, and Calcium and note that they are all balanced, then add your chlorine shock, and let your salt chlorine generator maintain the shock level.